So, who's got two thumbs and forgot that yesterday was Thursday? This girl. I blame a work meeting regularly held on Wednesdays that got rescheduled to Thursdays for throwing me off. My bad. Anyhow, this week, I want to talk about bad boys. You know the type: the guy who's snarky and a little bit dangerous but who everyone loves anyway. I sure love nice boys, but sometimes you just can't resist the guy who you wouldn't take home to meet your parents. Check out everyone's favorite bad boys below, and add your picks in the comments. My BBE Bad Boy is Beau Vincent from The Vincent Boys. I am currently reading the uncut version and ohmygod he is THE hottest thing ever. Until I picked this book up, I was in love with Christian Grey and I wasn't sure anyone could measure up but Beau is hot as all Hell, he sure rivals Mr Grey in the steamy department, plus i just adore this book. Sigh... anyone in The Outsiders? Do I have to be specific? 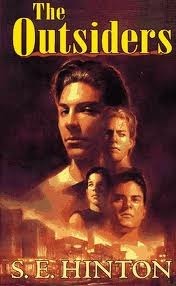 Ponyboy is a sweetheart, but I think my favorite bad boy of the group would be his older brother Darrel, called Darry. I'm pretty sure it's not a Swayze hangup either, I was attracted to Darry before my mom would even consider letting me watch the movie. Pick my favorite literary bad boy? Tortured alpha’s are my fav, so that’s a tough one. What could be more delicious than a strong, gorgeous guy who can’t let his emotional walls down for anyone, but his true love? 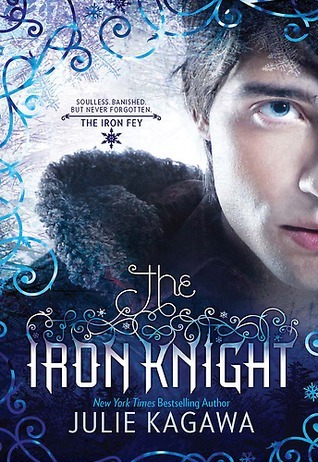 *Swoon* But since I can only pick one, I have to choose - Prince Ashallayn’darkmyr Tallyn, or um, Ash for short, from THE IRON FEY series by Julie Kagawa. For me, part of the appeal of a bad boy is the redemption moment, when love releases all that pent up emotion that they’ve buried deep inside. Since Ash is a winter fey prince his feelings are buried under decades of icy indifference, hardened by war and heartbreak, making his transformation from callous warrior to gentle hero nothing short of mesmerizing. The four books that tell Ash and Meghan’s love story are some of the most compelling I’ve read in years and are a must read for all literary bad boy fans! Naturally, bad boys hold no allure for me, and I don't really get what women see in them either :) However, my choice for this week is The Demon's Lexicon by Sarah Rees Brennan. I'd heard some great buzz about it when it came out in 2009, but what first caught my eye was the fact that the guy on the original cover reminded me of Tom Welling, the actor who played Clark Kent on the TV show Smallville. Guess he didn't do much for sales, because they replaced him when they rebranded the covers for the second book. Anyway, protag Nick Ryves is a major jerk, but he's actually pretty cool and handy in a fight. I mean, you pretty much want him on your side. You find out later on that he has a good reason for being the way he is--he's got baggage--but what makes me most love this book and the series is his relationship with his protective, bookish brother Alan (who's also kind of a jerk, as it turns out). The series felt a bit like one of my favorite shows, Supernatural, and I really like that the sequels each keep up with the Ryves brothers but from the POV of different protagonists, two of the supporting women characters from the first book. All in all, an excellent read, and I expect many of you will find Nick more than swoonworthy. Enjoy! Even though I picked the topic, I still had a hard time coming up with something - most of the times when there are really relentlessly stereotypical bad boys in books, I just get annoyed. 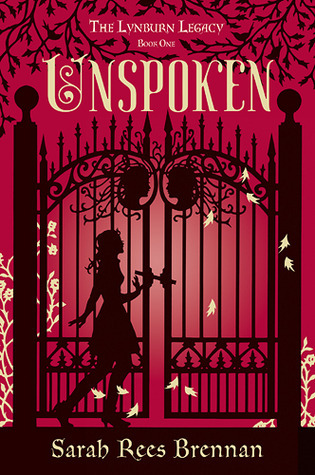 It takes a lot to get me to like one, and Sarah Rees Brennan did it with Jared Lynburn in Unspoken. He's beautiful, he's a jerk, he doesn't know what he wants (except when he thinks he does) and he's got one hell of a family legacy behind him which isn't making his life any easier. My feelings for Jared were all over the map on this book, and I can't wait to see what turns he's going to take next. Thanks for the recommendations, ladies! Since I love bad boys, I'm adding all these books to my TBR list...except The Outsiders.